Hello! 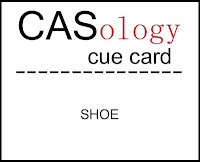 I am back with another "shoe" card. I did not realize that I have so many Digital Images of shoes in my file. I just could not resist creating this fun Halloween card using an image from a kit from Creative Cottage. 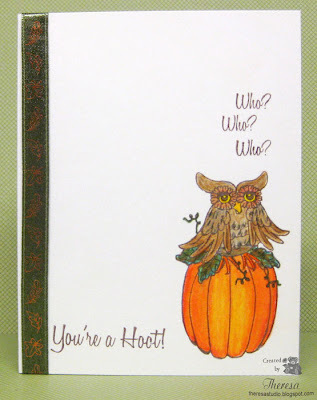 After printing the image on white cardstock, I colored with Memento Markers and Gold Pen and stamped a sentiment from Mark's Finest Papers stamp set, "I'm Going Batty" with Grape Jelly ink. I kept this very CAS. My DH thinks it is a bit empty...but I explained that I need a lot of white space to be CAS! 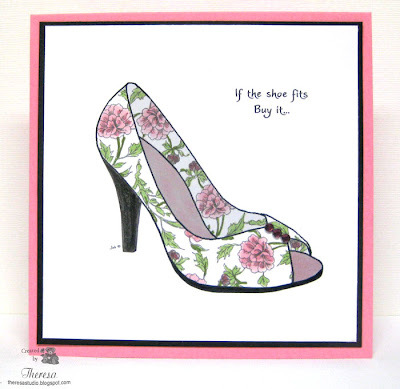 I think that takes care of my "shoe" cards for today. Have a fun day. Maybe I'll go shoe shopping but not for this pair. Welcome! I love shoes! I have several digital images of shoes in my files but have more shoes in my closet. When I saw the challenge from CASology I just had to make a card with this Digi from Jak Heath that I have had a long time and never used. 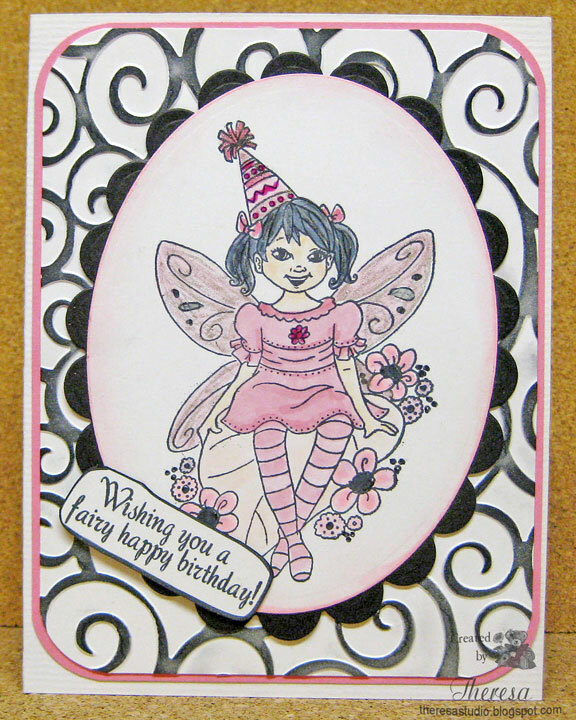 I simply colored the image with Copics R81,83,85,G82 and placed on a mat of Black CS and on to a card base of Pink CS. Finished with some bling of Pink Rhinestones from Kaisercraft. How CAS is that? Now if I could only find this in size 5 1/2 AAA, I'd be a happy person. I am entering this at the Challenge at CASology. 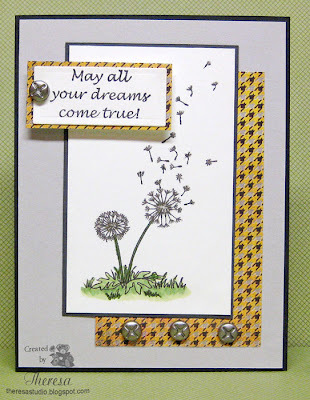 The design challenge at Cheery Lynn this week is Keep it Krafty. 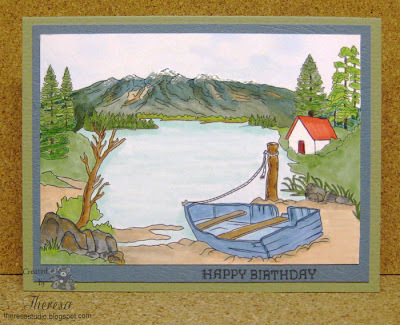 I kept the emphasis on kraft by using an embossed background of kraft inked a bit with Distress Ink. I used butterflies of kraft as my focus on the leaf flourish of green with some added leaves. I decided to use a base card of blue... ......seemed to be the natural thing to do....representing sky against the colors of green and kraft. Good morning! Welcome to my Saturday post for another Speedy Fox and Friends challenge #127. This week we want to see circles on your projects. 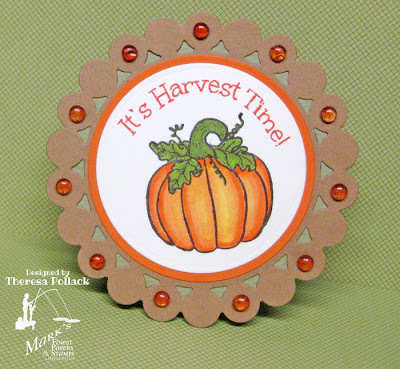 To inspire you, I have created a circle card for fall using "Autumn Splendor", a new stamp set from Mark's Finest Papers, a Heinrich Co. I tried to get as many circles on my card as I could....hope you do not get dizzy going in circles.Please join us this week and you could win a stamp from Mark's Finest Paper, a Heinrich Co. You have until 3PM on Friday, October 5, 2012, to enter the challenge here. If you use Mark's Finest Papers, a Heinrich Co. stamp, your name will be entered into the drawing twice. This week, Sugar Creek Hollow wants us to make a vintage or shabby chic card or other paper-crafted project featuring Vintage Animals. 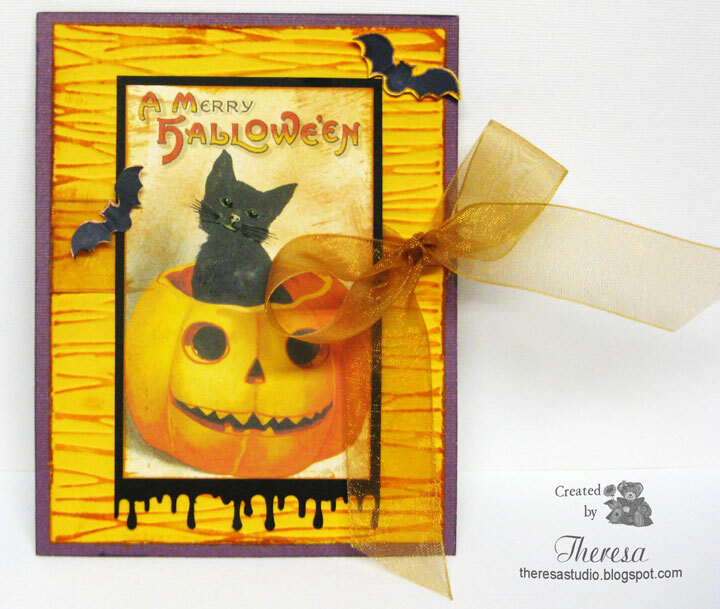 Since I have been making Halloween and fall theme cards, I decided to use a digital image from Magic Moonlight of a Black Cat that is in my collection. 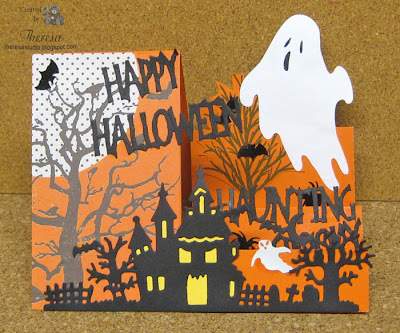 I also added some cutout bats that I have on digi file from Plumrose Lane. After printing the image I distressed it and my background with some distress inks - Tea Dye and Wild Honey. Placed the image on a mat of Black CS punched with Martha Stewart Drippy Goo Punch. My background is of yellow orange CS embossed with Cuttlebug EF Forest Branches and distressed with inks. Used a Purple Card base. Finished with Gold organza ribbon and bow. Thought this was a great scaredy cat in a pumpkin with the vintage script. Good morning! I just love fall and fall colors and making fall cards. And I love this cute Owl in the new stamp set by Mark's Finest Papers,a Heinrich Co.called Autumn Splendor. I thought he was perfect on a card for Cas-ual Fridays challenge fall fun. 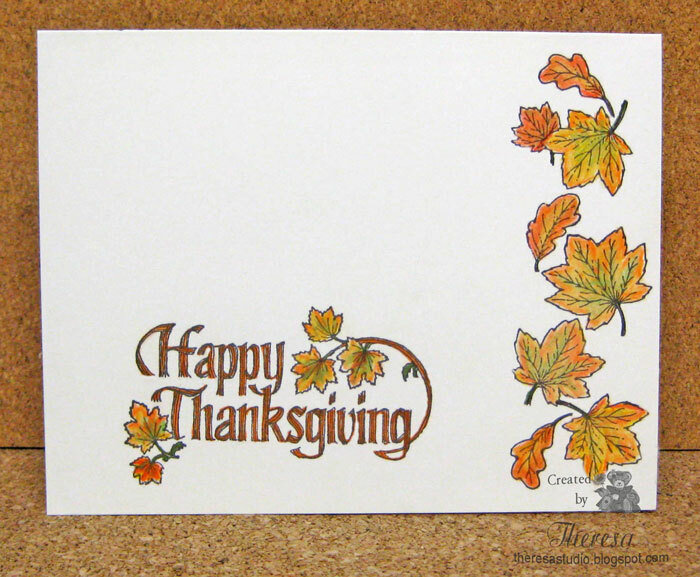 We are to create a Clean and Simple Card inspired by fall. 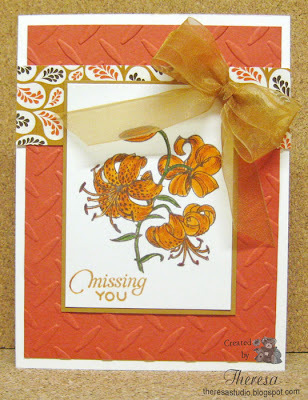 I stamped the image and sentiments on Ivory CS with Memento Rich Cocoa and colored with Pencils and OMS. Finished with an autumn green ribbon with copper leaves. Isn't the Owl a Hoot?? 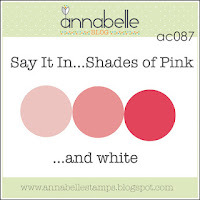 Shades of Pink and White. 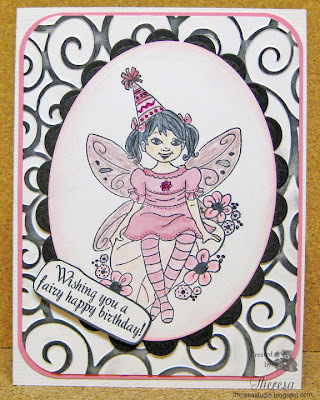 I used "Squared Poises" stamp set from Annabelle. Stamped the image and sentiment in Versamark and embossed with a White Pearls EP and colored with Pink Distress Ink. Simply cut out the square image to which I added some 3D effects by layering some petals and bud and attached to the background. Sentiment hardly shows but it reads "Sending Hugs your way." Attached this all to a card base of a Lustrous CS. This card really shines like satin! Folklore says that blowing the seeds off a dandelion is said to carry your wishes, thoughts, and dreams to your loved one. 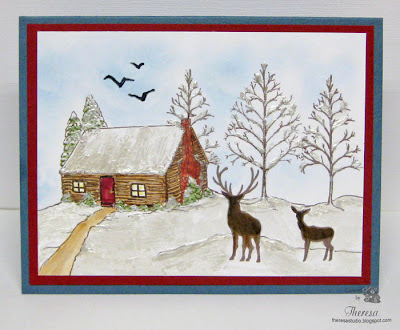 This card was made using a sketch from The House That Stamps Built for the sketch challenge shown below. 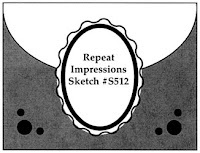 Love their sketches. I did flip the sketch so that the image fit my design. I stamped the dandelion stamp so the seeds blew a different direction than the actual stamp. What is your dandelion wish today? Good morning on another Monday. The weekend was uneventful since I am fighting a cold and I seem to be losing the battle. 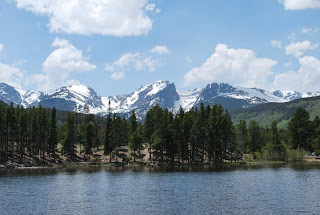 But that did not keep me from playing in my studio to create this tag to inspire you to play in the challenge at Friends of Speedy TV this week. 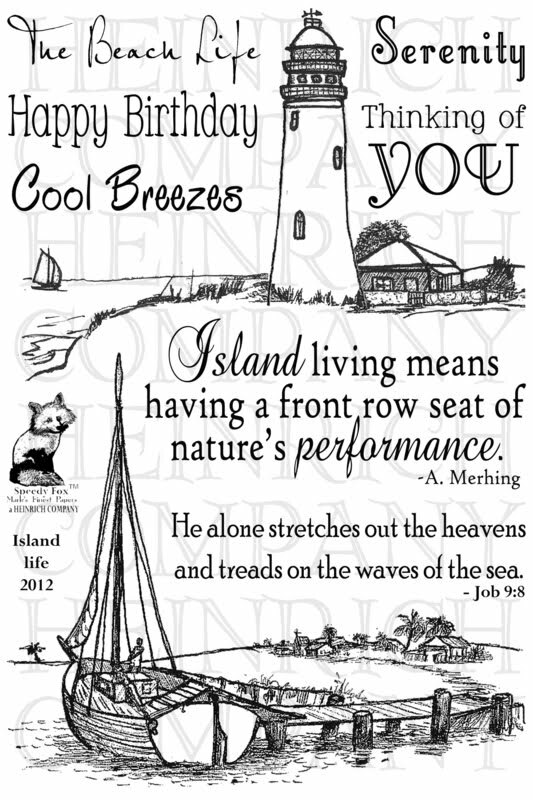 And that is to create Tags and/or Tickets to be in the running to win a Stamp Set "Island Life" from Mark's Finest Papers, a Heinrich Co. shown below. I decided to make a tag that could be used on a autumn hostess gift, maybe a bottle of wine. On my tag, I used the soon to be released set "Autumn Splendor" to give you a sneak peek of this great set. I stamped the pumpkin on orange CS with a sentiment from "Welcome Poppies". I stamped the leaves and acorn swag on white CS,colored with pencils, cut out and attached with pop ups. I printed out the ticket and stamped with the word Autumn. Layered top on to green CS and added ribbon. I made this card with a technique that I learned on Stamp TV following Gina K's tutorial of making wood grain background for the card. I used Gina stamps "Sign of Autumn" for the Apple Basket and "A Year of Leaves" by Melanie for the sentiment . I am entering this in the release party challenge at Stamp TV for doing a Wood Grain Background SEPT12WD. The weeks are going by so fast...it's Saturday again already??? Time for another challenge from Speedy Fox and Friends. 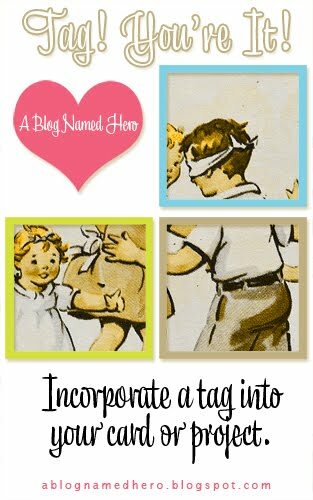 Number 126 is to make a Tag. That's easy enough! Please join us this week and you could win a stamp from Mark's Finest Paper, a Heinrich Co. 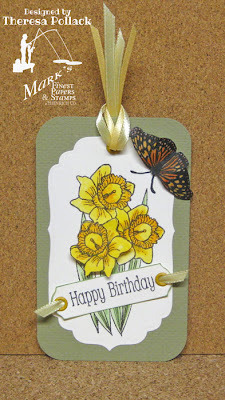 The hardest part of this challenge was deciding what kind of tag....Christmas, Fall,etc...but I decided to make a Birthday Tag to use on a present. I love flowers and nature so I used MFP's "Daffodil Greetings" which has beautiful flowers and a lovely butterfly. You have until 3PM on Friday, September 28, 2012, to enter this challenge. If you use Mark Finest Papers, a Heinrich Co. stamp, your name will be entered into the drawing twice. 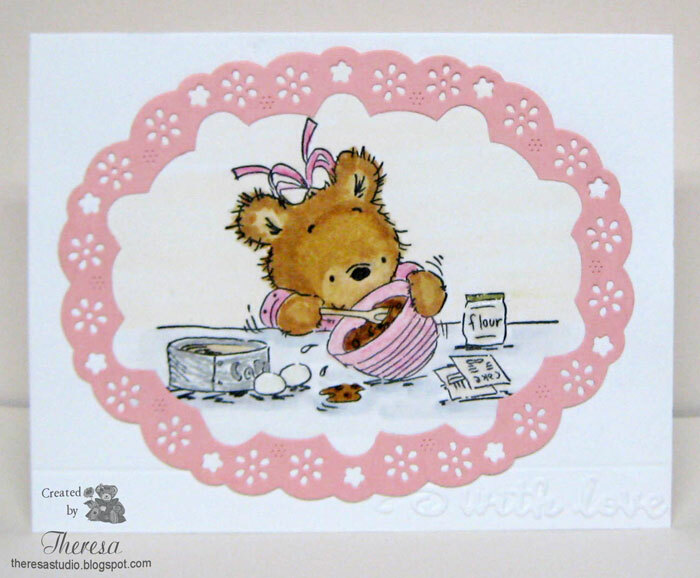 This card is made with a Lili of the Valley Stamp of the sweetest bear baking a cake. I framed her with an oval in pink. 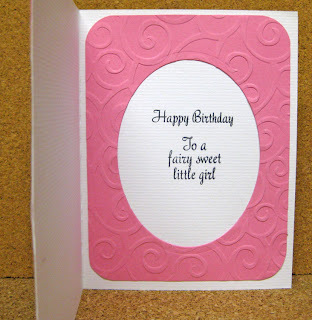 Kept this simple ...no ribbon or other embellishments...just a simple embossing. One Stop Craft Challenge: Let's Bake a Cake. Stamp: Lili of the Valley "Baking a Cake"
It seems to look and feel like fall more each day. 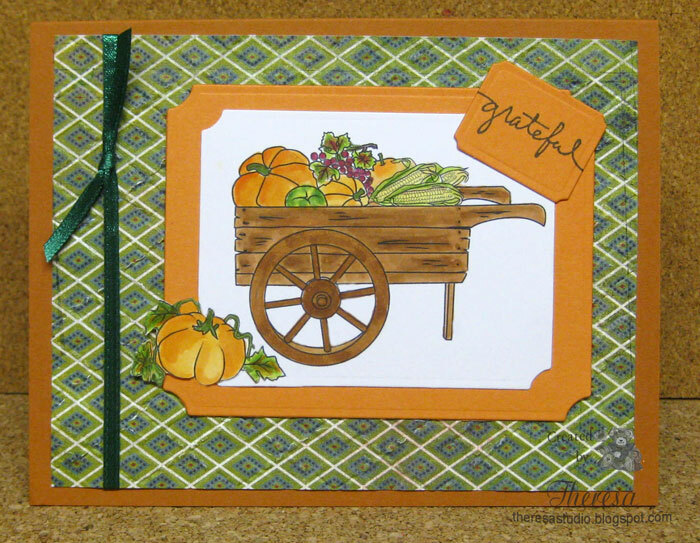 Using a Digi Doodle image, Vegetable Cart, I created this fall card of gratitude and thanks. After printing the image, I colored with Copics and cut with a rectangle die. I am entering this in several fall/fall color theme challenge. This is a stair step card that I created with a Halloween theme for the challenge at Joan's Gardens which was very easy this week. The only requirement this week is to make a Stair Step Card. Easy enough. I am kind of on a roll making cards with scenes but this will be the last one for awhile. I just had to create with this digi that I purchased from Digi Doodle Shop. I am sad they are closing the shop as I love their designs. 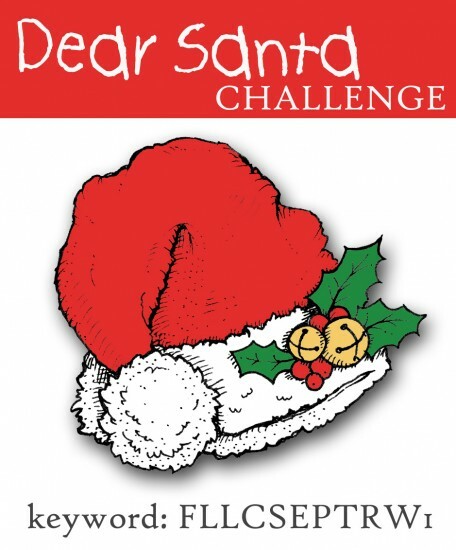 I wll be entering this in their last challenge. I printed the image on X-Press It Paper and colored with more Copics that I have ever used in one card. 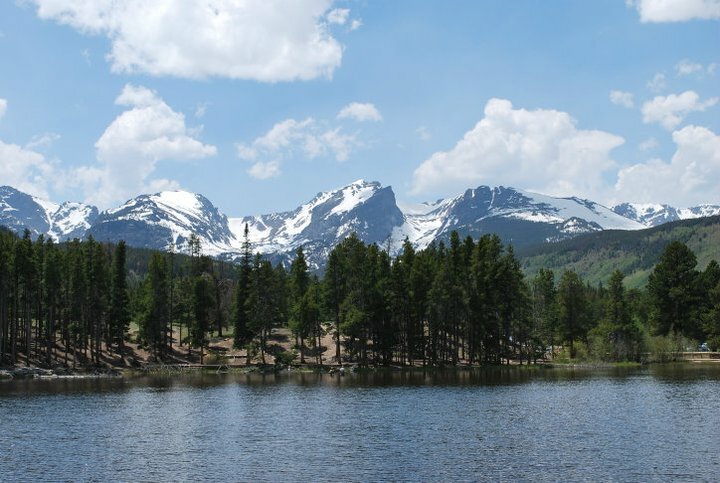 I was inspired in my coloring by some photos that my nephew made in Colorado. This was a lot of fun coloring. One more quick post for today. I have been trying to come up with a card for the challenge at Simon Says Stamp challenge to make a trendy card using NEON, HEXAGON or CHEVRON. I finally decided to use some DP with a hexagon design and remembered a stamp that I have with a honey comb design. 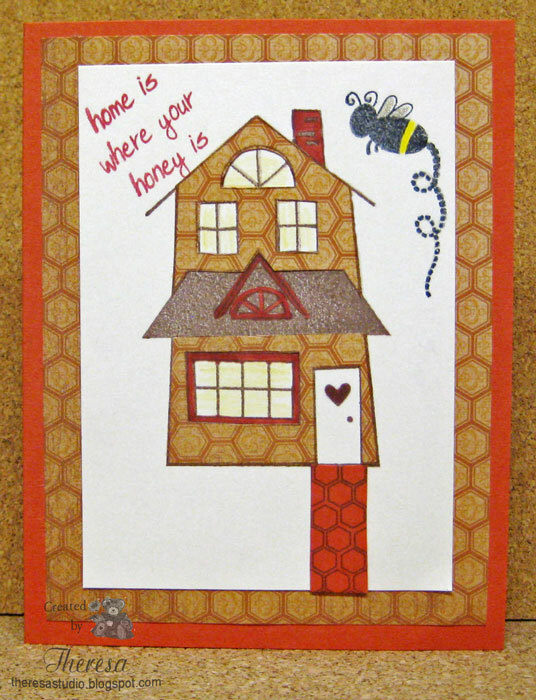 I came up with this card using the hexagon paper for paper piecing a house stamp that I have never used. So this was a mix of some old paper, some old stamps, and a new stamp. Had to add in the bee beecause when I think of hexagons, I think of bees. I stamped the walk with a honey comb stamp. Stamps: Itty Bitty By Unity "Bella Blvd", Creative Clear Stamps " Momma Bee" for sentiment, honey comb, and bee. Hello! 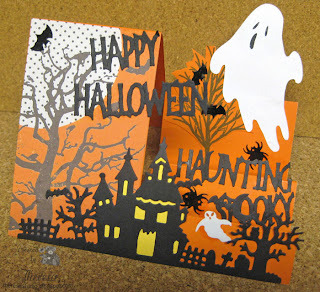 I did not plan to do another post but since it is raining I decided to make a quick one layer card. 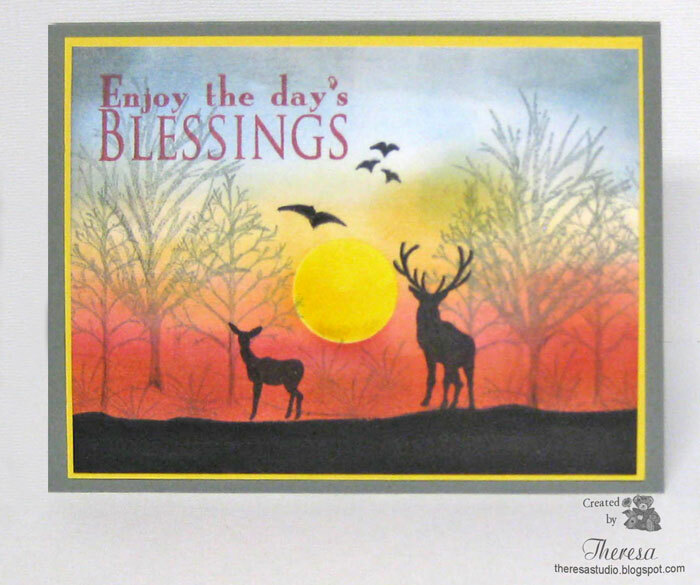 I stamped 2 old stamps from Hero Arts on Ivory CS to create this quick card above. Coloring was done with Pencils and OMS. 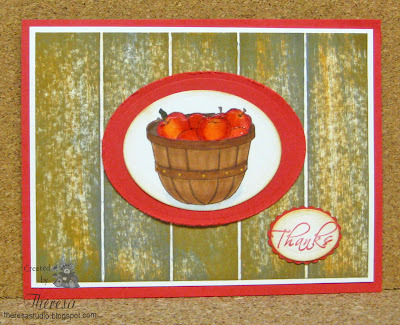 One Layer Challenge: Make a card that expresses what you love about autumn/fall. I love the colors of autumn leaves and Thanksgiving. 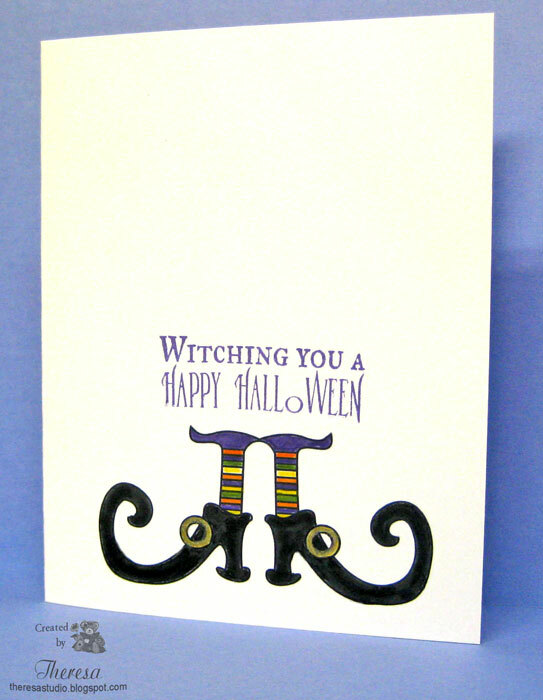 This card was inspired by a post on Crafting The Web by Theresa Momber found here. She did a step by step tutorial on making a sunset card. I just had to try this and followed her card as close as I could but my sponging technique needs a lot more practice. It was fun to do and I plan to enter it at Craft a Scene Challenge: Trees,Trees, Trees. Good morning on another Monday. The weekend goes by so quickly. Here at Friends of Speedy TV we are playing a game of Bingo. 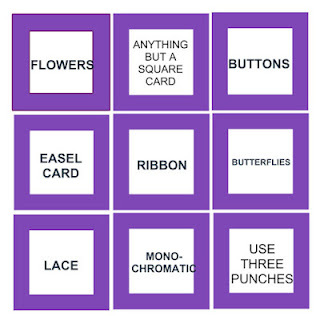 Select a row- up, down, or diagonal - and create a card with the elements listed to call BINGO! 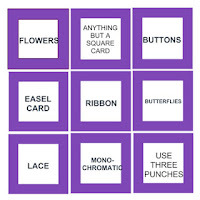 I used the top row to create a card with Flowers, Anything But Square, and Buttons. 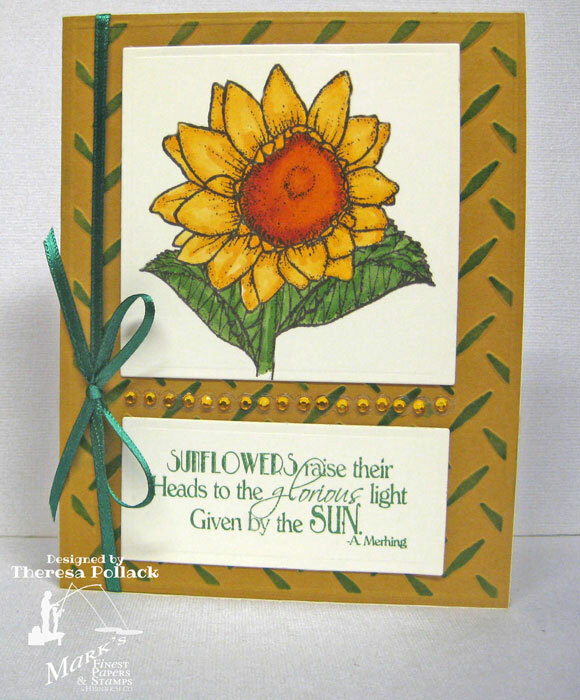 The flower image is from "Bring on the Sun" stamp set by Mark's Finest Papers, a Heinrich Co.
C.R.A.F.T. 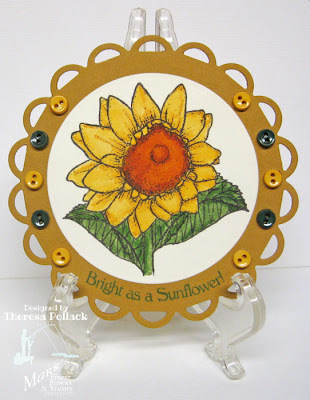 Challenge: Autumn...my card is in Autumn colors and Sunflowers always make me think of fall. Stamp: Sunflower and Sentiment from MFP's "Bring on the Sun"
Please join us this week for our challenge. You have a chance to win the MFP stamp below. 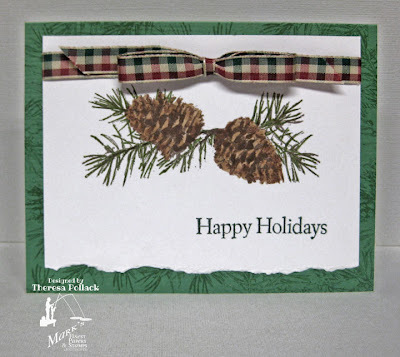 At Craft a Scene Challenge, the theme this month is Trees, Trees, Trees. They want us to use at least three trees stamped on our entries. 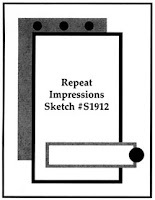 The entry should have a stamped or digi image in the background and another in the foreground. 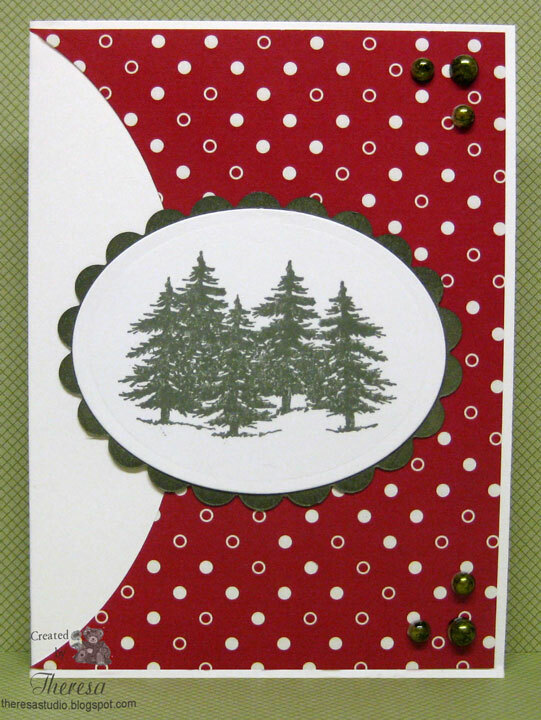 For my cabin in the woods card, I used the cabin with trees image and trees in the background with some birds flying by. I added deer in the foreground and extended the walk and placed some snow mounds by drawing those in. In all I used 5 stamps to create the scene. Welcome! How is your weekend starting. We have a new challenge from Speedy Fox and Friends and it is an easy one this week. We would like you to share with us your favorite technique. What would that be? Do not forget to tell us. I love doing a lot of techniques but the one that I do the most is coloring with Copic Markers as show in my card. I have used an image and a verse from "Bring on the Sun" by Mark's Finest Papers, a Heinrich Co.
You have until 3PM on Friday, September 21, 2012, to enter this challenge. If you use MFP, a Heinrich Company stamps, your name will be entered into the drawing twice. Stamps: MFP's "Bring on the Sun"
Scrap Creations: Pick 3 from Ribbon, Pearls, Red, Die Cut/Punches, Glitter, Distress, Embossing, Buttons, Paper Piecing, Blue. 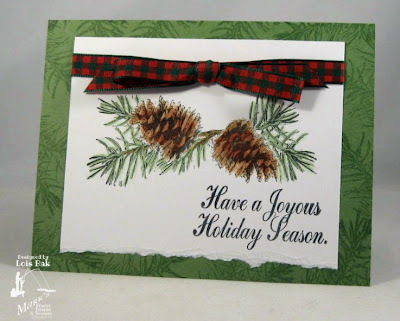 I picked Ribbon, Die Cuts, and Embossing. I have missed doing several challenges lately but trying to make up for it this week. 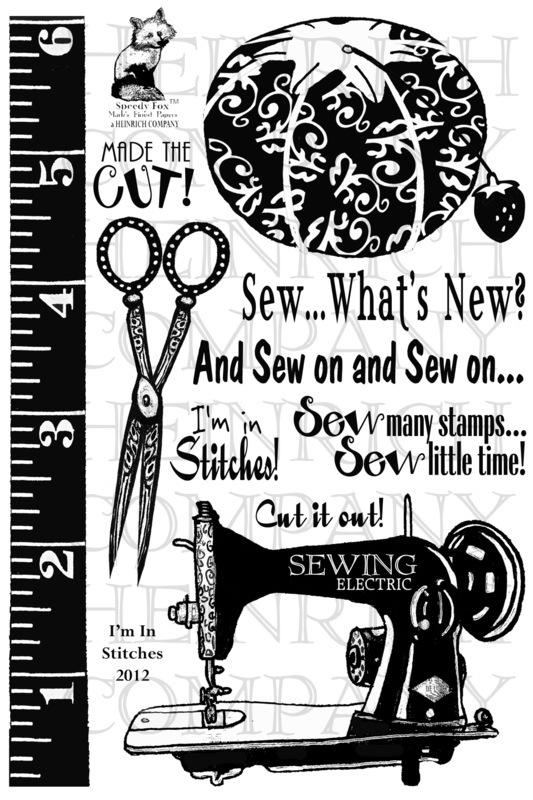 This card will cover some vintage, recycle, and fabric challenges currently running. I have tons of fabric from when I sewed and from some my Mother has given me. I found this Christmas fabric leftover from some of her quilts that I had planned to use for projects but never did. So now I am going to recycle it and the bells that I found also for use in cards. Sugar Creek Hollow: Make a vintage and/or shabby chic project using fabric but no ribbon or lace. OOPs! I used a bit of ribbon...forgot. But maybe they just meant that ribbon or lace would not count as fabric??? Howdy! I am back again ! 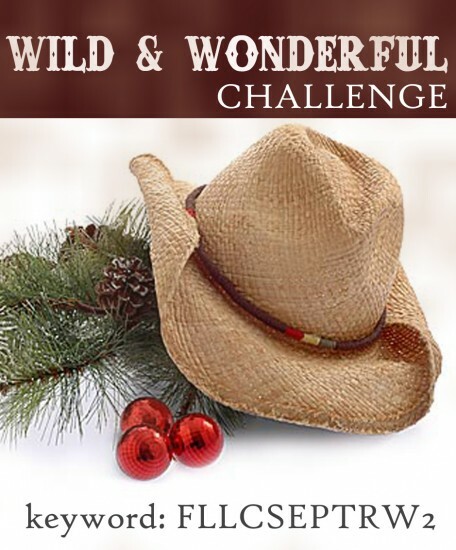 For this second noon challenge at Flourishes Wild and Wonderful Challenge FLLCSEPTRW2, your card has to be a little on the rugged side. Use faux leather, “lasso”, or some fun trim or give your creation a distressed look. I hope my card is worthy of the wild west! This was a difficult challenge for me as I do not have any wild or western stamps from Flourishes (ONLY Wonderful Ones). 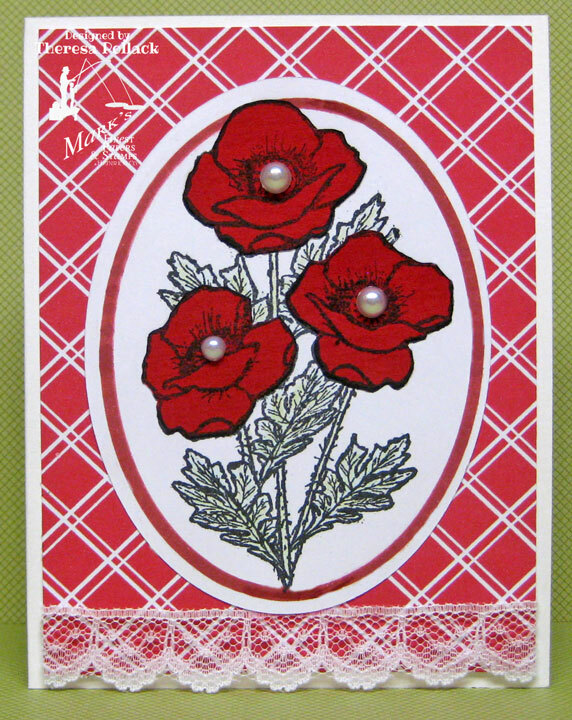 And I did want to use Flourishes stamps so I can earn a second entry with this card. After a long amount of deliberation and some trials, I came up with a distressed look and some rugged touches on my card. Thank heaven I save everything and found a scrap of burlap and some jute "rope". 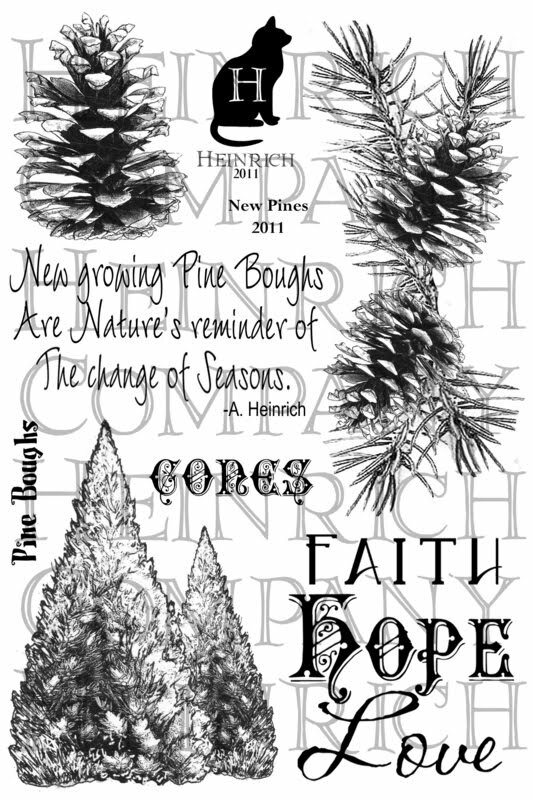 Stamps: Flourishes "Seasonal Wreaths" and "Poinsettia and Boxwood" for sentiment. Pardners, I enjoy all your comments. Hee Haw!! Y'all come back. 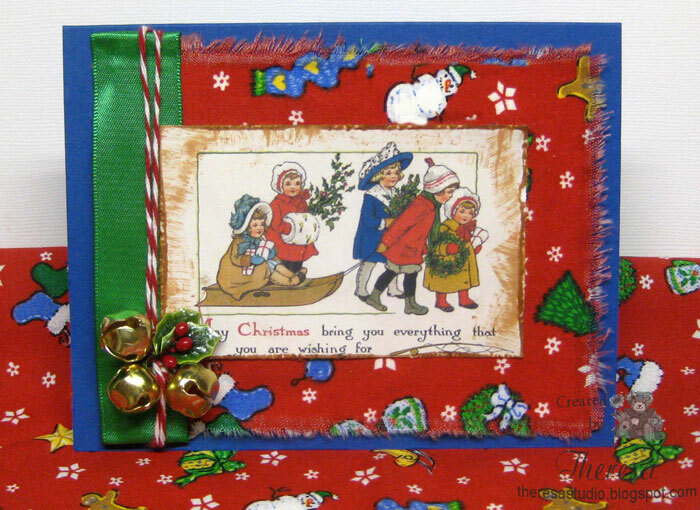 Flourishes has released 5 new Christmas theme stamp sets this week. The first noon time challenge for Flourishes release week Dear Santa Challenge FLLCSEPTTRW1 is to make a Christmas card fit for a kid and you’ll be in the running to win all 5 newly released stamp sets. 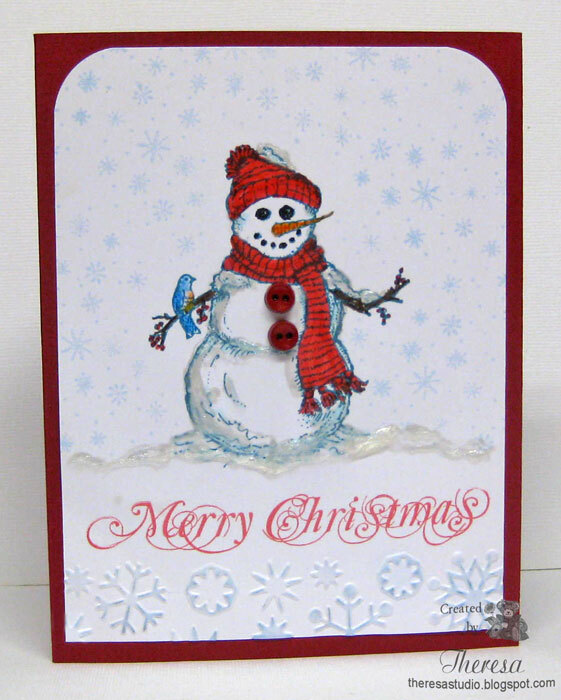 I do not have many Christmas stamps geared for children but every child loves snow and snow people so I chose that as the theme for my Child's Christmas card. I stamped the snowman using Memento Teal Zeal which gives it a colder look? Stamps: Flourishes "Warm Winter Wishes" and sentiment from a Flourishes Christmas Wreath Stamp Set (Name Unknown). I'll be back shortly with the other noon challenge entry. Flourishes has begun challenges for their release week. 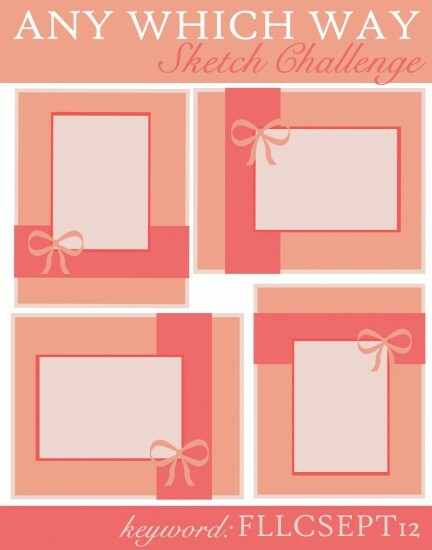 The first challenge is a sketch to use ANY WHICH WAY ! Flip it on its side, flip it upside down, whatever! We can win the entire Christmas release of FIVE new stamp sets! 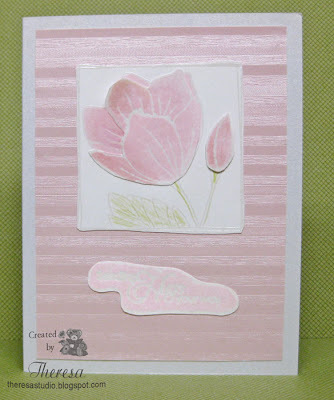 My card is made with Flourishes "A Year in Flowers" Set 2 using the vertical option with bow at top. Second post today. Scroll down to see Monday's CASE Challenge. The challenge at Flourishes Timeless Tuesday is hosted by Broni. Her challenge is to create a mini card! Just make a small version , no larger than 4″ x 3″. I made my card 4' x3", a perfect size to enclose with a gift. I used a Flourishes Zinnia image which was a great size for the card. 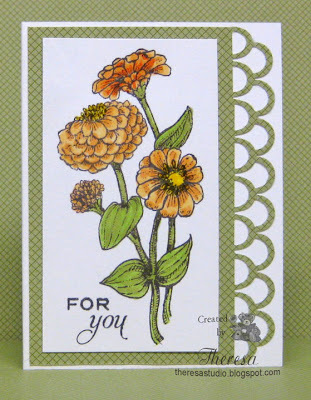 Stamps: Flourishes "Zinnias" and "Taglines"
Welcome to another Monday challenge at Friends of Speedy TV. We are asking you to CASE a card today, that is Copy And Save Everything from some one's card. I chose to CASE a card made by Lois Bak, a Senior Design Team Member at MFP's since 2009, whose work I have admired. Check out her blog Clownman Creations. 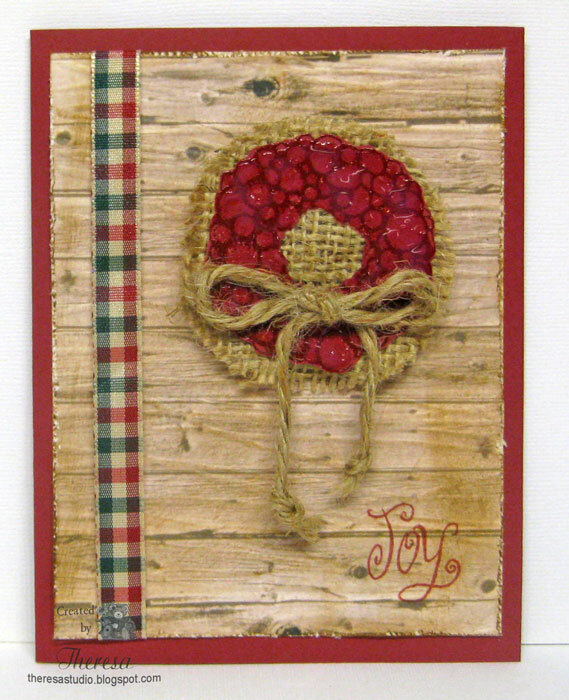 I have used several of the same elements as she did on her card but I changed up the ribbon and sentiment. 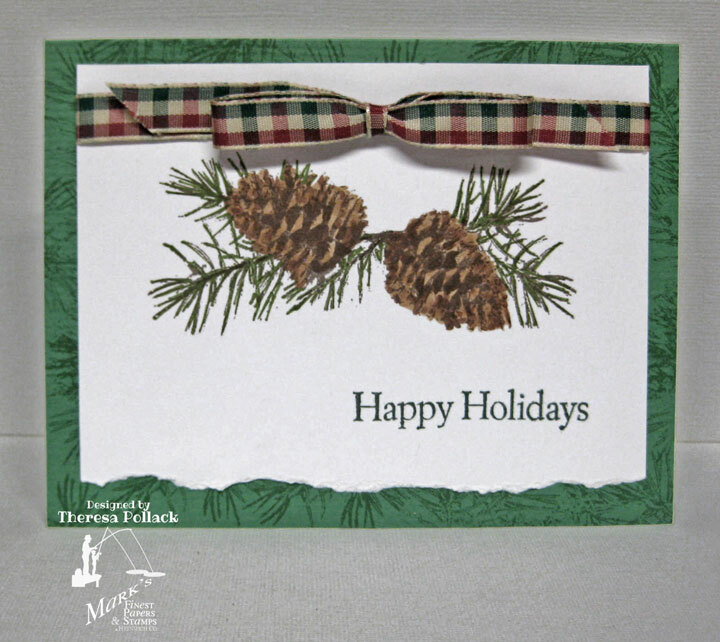 Stamps: Mark Finest Papers, a Heinrich Co. "New Pines" and "Greetings Of the Season"
I made this card for a sketch challenge at The House That Stamps Built. 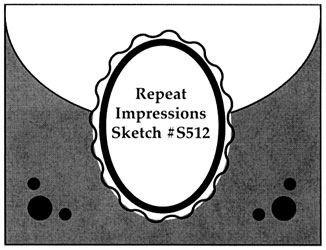 I flipped the sketch to fit the Repeat Impressions stamp that I used. 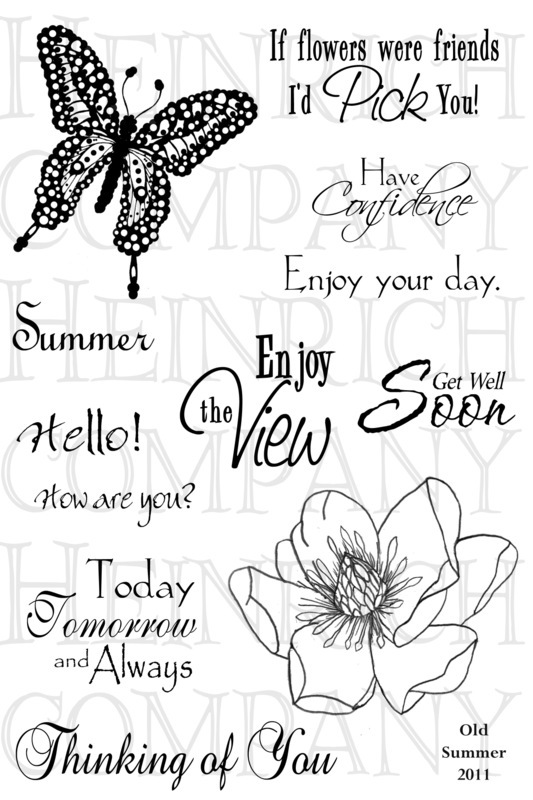 I did not include a sentiment because this can be used for several different occasions...will add sentiment or verse at the time that I use the card. Can easily be used for a winter or Christmas theme. Color of paper looks white but is really ivory. Welcome to Speedy Fox and Friends Saturday challenge. This week we are asking you to make a card with the colors Red and White. The flowers I think of first when I think of red are Poppies. Instead of coloring my images, I decided to paper piece with solid card stock...usually use a pattern paper but thought I'd change it up a bit. I use Mark's Finest Papers, a Heinrich Co. Stamp set "Welcome Poppies". You have until 3PM on Friday, September 14, 2012, to enter this challenge. If you use MFP, a Heinrich Company stamps, your name will be entered into the drawing twice. Papers: White and Red CS, Plaid Digital Paper that I resized and recolored. Hello! I don't make many Fairy cards but I found this forgotten stamp and decided to ink it up for some challenges. This stamp was sent to my by Beate Johns last year. I stamped with black ink and colored with Copics and Clearstar pen on the wings. I cut out the image and placed on a black mat and then on to an embossed mat edged with a narrow pink mat. Then went onto a card base of white. Finished the front with a birthday sentiment and the inside as shown in the picture below. 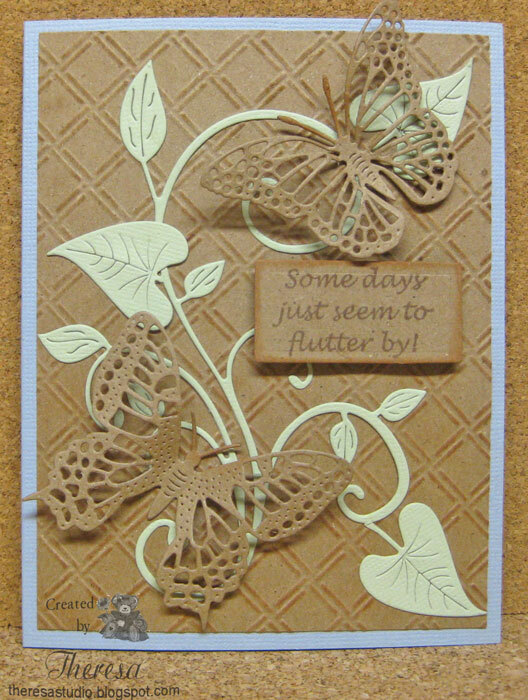 Flutter By Wednesday: Decorate the inside of your card. There's Magic in the Air: Things with wimgs. Happy Labor Day! Enjoy the Holiday. This is the time of year to think about School Days since traditionally school used to start after the Labor Day Holiday. Today most schools have already begun. Our challenge this week at FOSTV is to make a Back to School theme project. 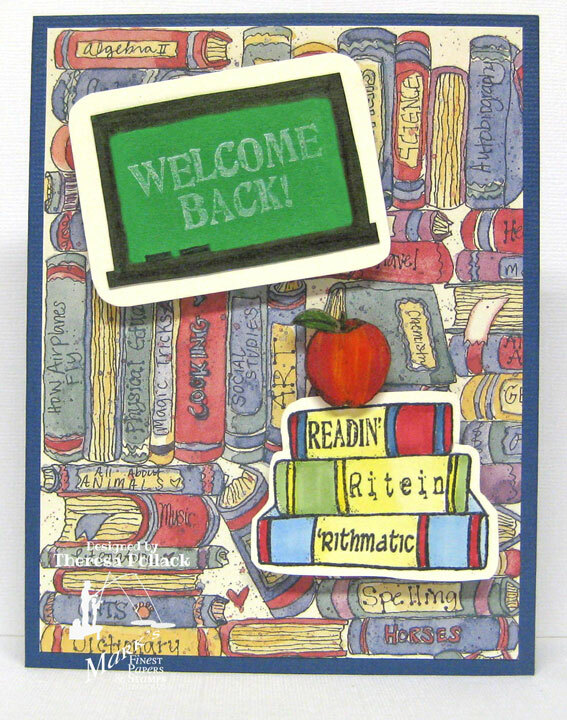 Mark's Finest Papers, a Heinrich Co. has a great new stamp "Lesson Learned" with a school theme that I have used to create my card. I found this paper that I have had for eons from back when I was doing some scrap booking. I thought it would be a great background and inspiration for my card. 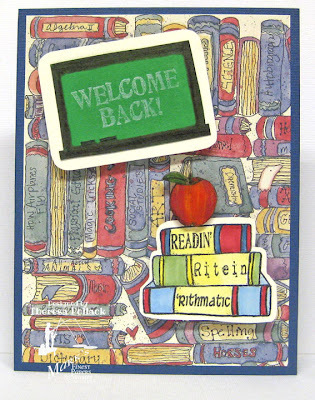 I placed it on a card base of blue then attached the board and stack of books that I stamped on ivory cs, colored and cut out. 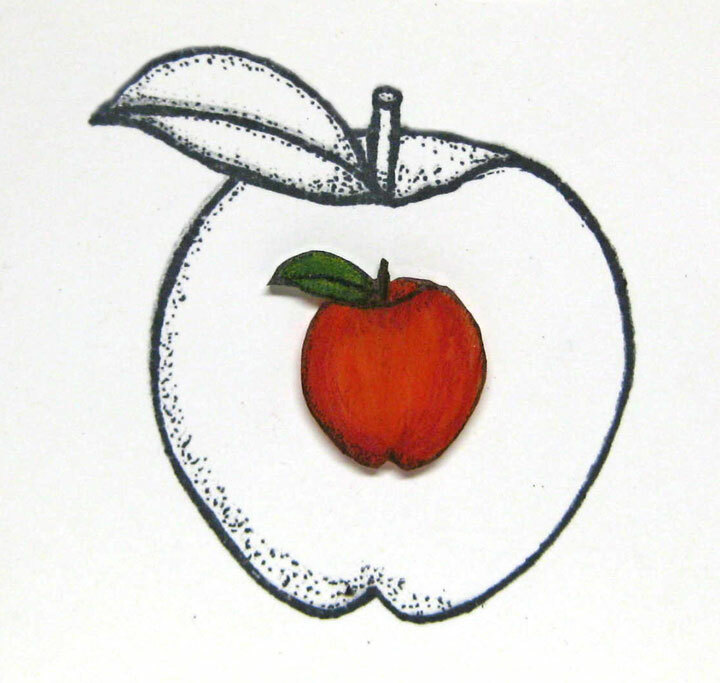 I made the apple embellishment with Shrinky Dink to finish the card. 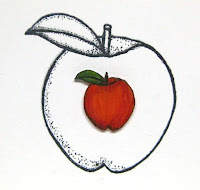 The photo shows the size of the apple stamp and the final result of the red apple after I used Shrinky Dink. This gives you an idea how much it shrinks.